Sheer Chevron Infinity Scarf Just $3.59 + FREE Shipping! You are here: Home / Great Deals / Amazon Deals / Sheer Chevron Infinity Scarf Just $3.59 + FREE Shipping! Looking for a nice summer scarf? 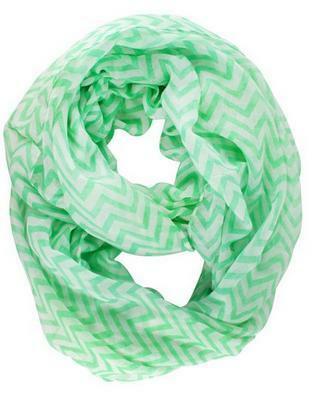 Get this Sheer Chevron Infinity Scarf in black, blue/gray, green, pink, purple or red for only $3.59 on Amazon. And, it will ship for FREE!